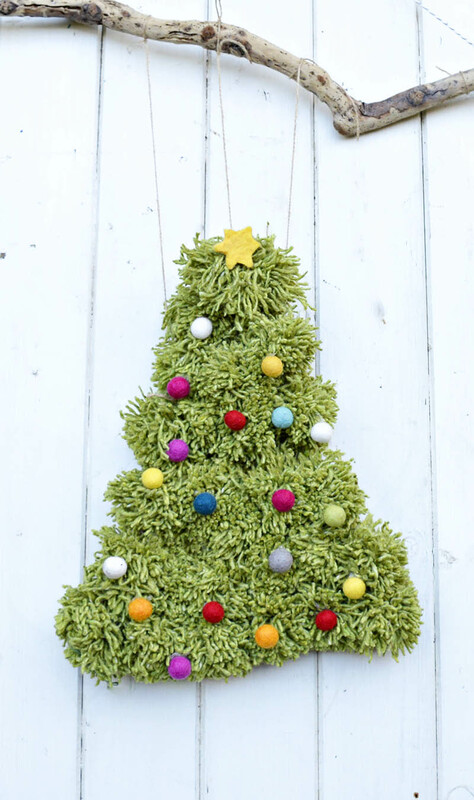 Pom Pom Christmas Tree :If you’re looking for a fun Christmas wall hanging, then I’ve got just the one for you, my Pom Pom Christmas tree. 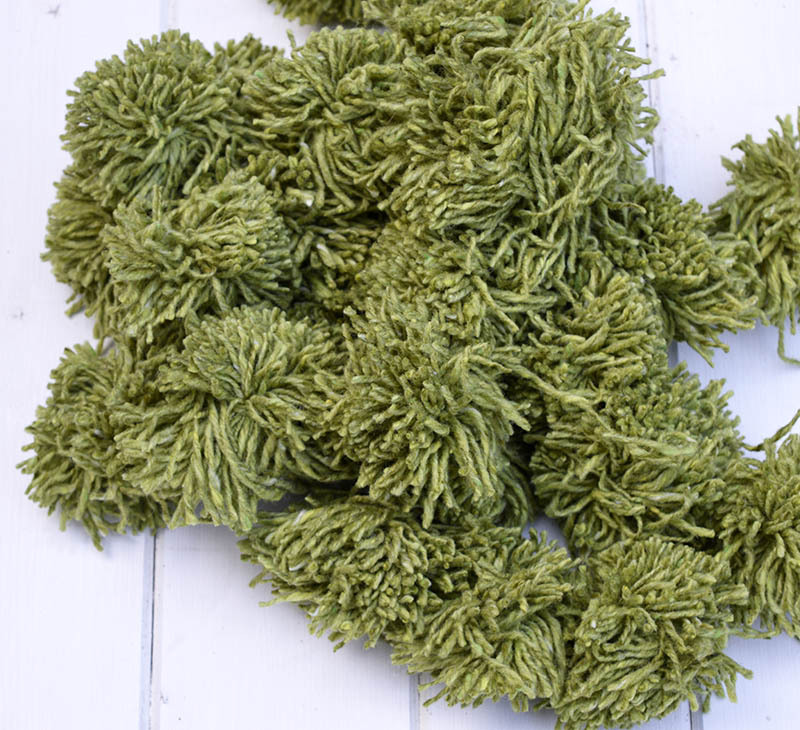 Whilst having a rummage through my craft stash (trying to hide it away from my husband), I came across a load of green wool. This wool had been bought years ago, obviously when I was going through a knitting phase. Just because I no longer knit that doesn’t mean I don’t have a use for the yarn. In fact I love pom poms and recently did a roundup of some fantastic pom pom crafts. 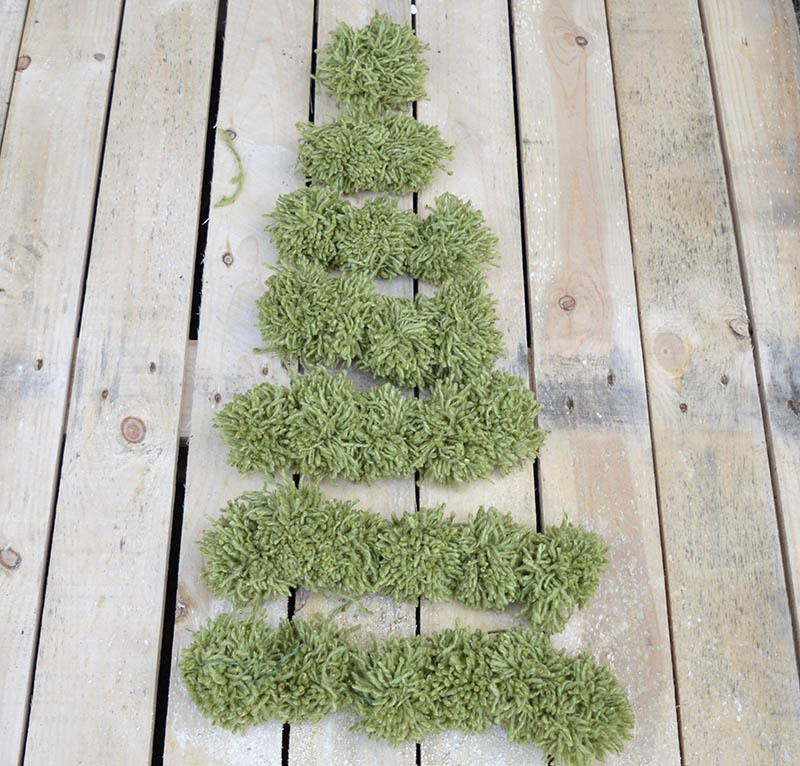 I took the easy route with the green wool and made pom poms with it which I then in turn made into a lovely Christmas Tree wall hanging. My pom pom Christmas tree is a gorgeous addition to my Christmas decorations. It also makes me feel a tiny bit less guilty about my craft hoarding. 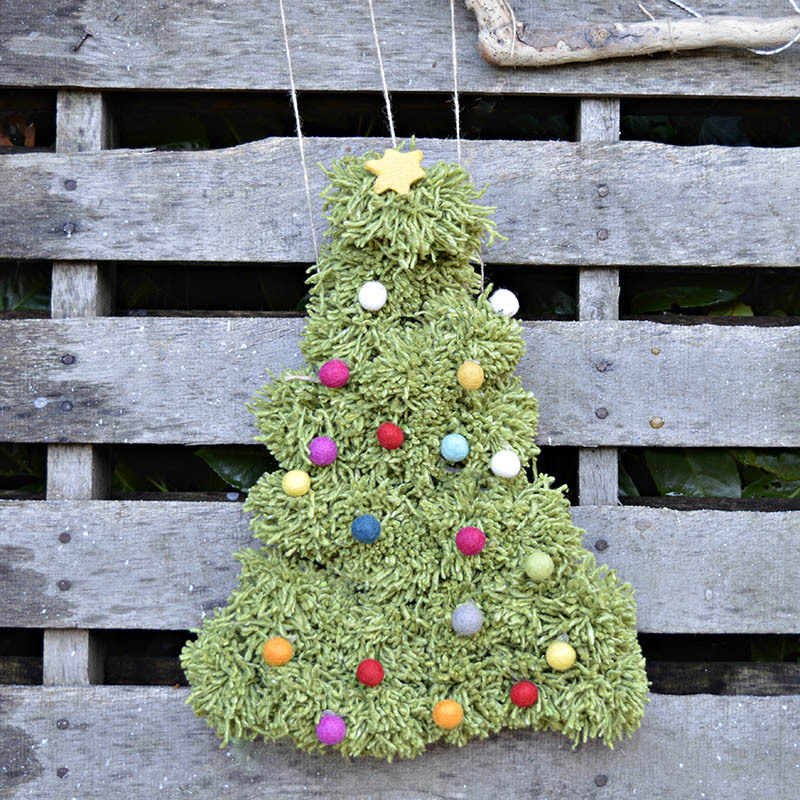 The pom pom Christmas tree looks lovely hanging from a bit of driftwood on the wall, it would also make a fantastic festive alternative door wreath. 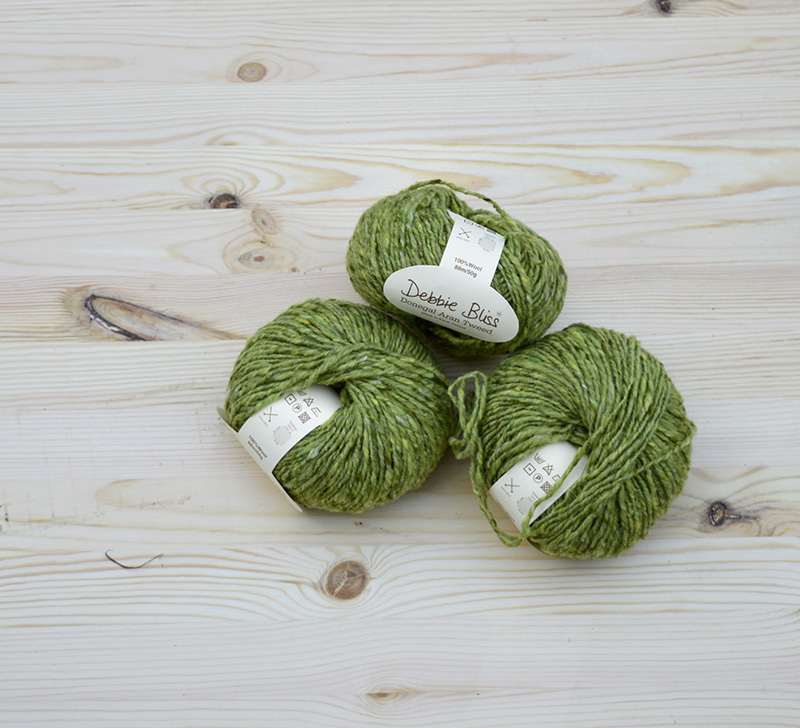 Green yarn, this doesn’t need to be expensive wool. Have a look in your local stores bargain bucket. Depending on how big you make your tree depends on how much yarn you need. I found 50g of wool made about 7 pom poms. First thing is to make your pom poms. You can do this the traditional method using a pom pom maker or you can do my quick method where you can make more than one pom pom at a time. I use a coat hanger for this. Full details of my quick pom pom method, can be seen on my paper bunny treat bag post. 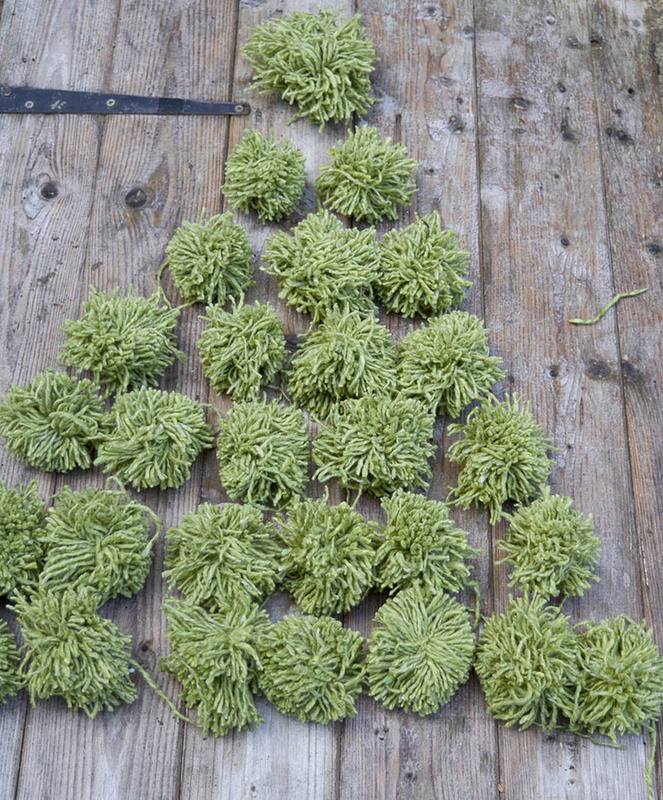 For my tree I made 28 pom poms approximately 6-7cm in diameter. Gather your pom poms together and arrange them in a triangle shape. I had a bottom row of 7 pom poms, decreasing by one until the top row was just a single pom pom. I was going to attempt to hang the pom poms like this on seven string rows. However that proved far more complicated than it looked. Therefore I stitched my pom pom tree together, which produced a much better result. I stitched the pom poms in each row to one another first and then stitched the rows together. 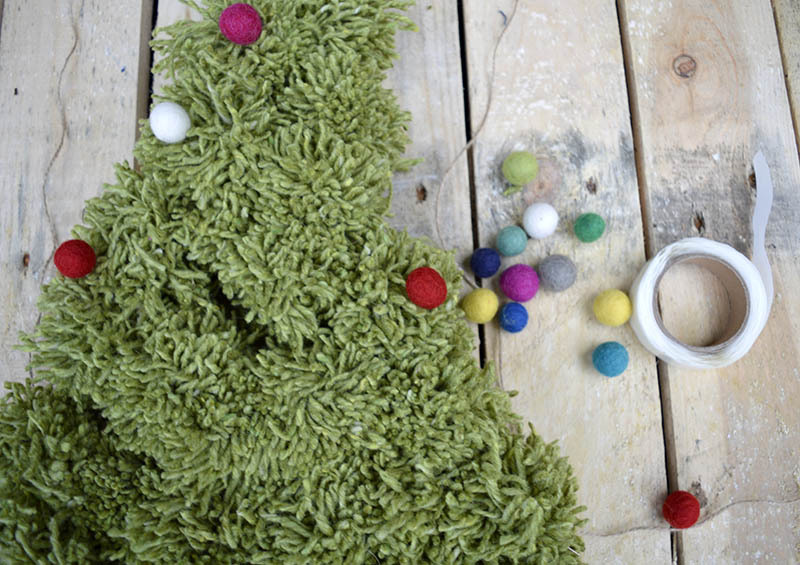 Before hanging your pom pom Christmas tree, decorate it with coloured felt balls. 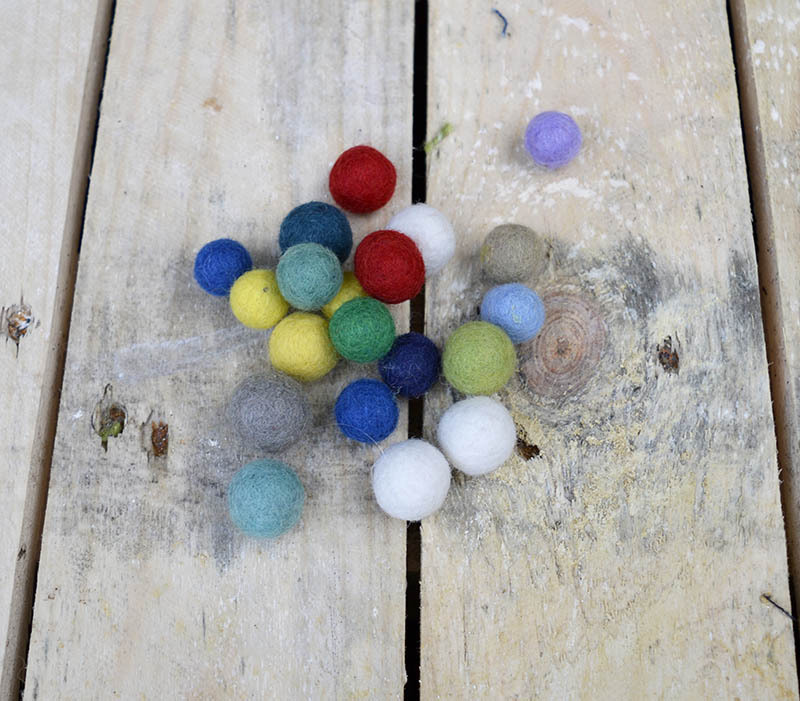 I stuck my felt balls onto the pom poms just using glue dots. As I mentioned this was a really relaxing craft. I love to do stuff with my hands whilst watching telly with the family in the evening. Making Pom Poms are a perfect craft for this as they require very little attention or space to make. I love the pom pom Christmas tree hanging on the wall but I am thinking about putting it on the front door as a wreath. Maybe it’s time to change up my felted acorn wreath, but I love that one too ! I just can’t make my mind up. Claire, this pom pom tree is awesome!! How fun! Thank you so much, I do like a pom pom. Really cute tree! Thanks for sharing at Funtastic Friday:). I love pom poms! This is such a cute idea! My daughter would love to make this with me. Thank you for linking up to The Creative Exchange. We will be featuring your project this week. Thank you, pom poms are fun to make with kids. 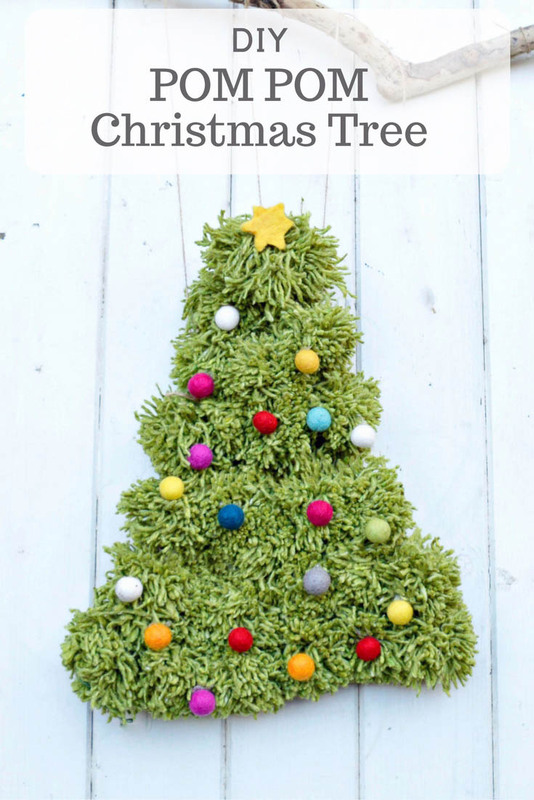 Claire, I adore this idea and I’ve never seen a pom-pom tree! Well done–pinned & tweeted! Thank you for sharing @Vintage Charm! Thanks and thanks for the share. Now that’s a fun idea! And thanks for sharing on the Pleasures of the NW’s DIY party! What a sweet looking little tree. Cute idea. Such a cute idea – looks pretty simple to do as well 🙂 Thanks for sharing! Happy Holidays! What a cute idea! Pinned and shared! Thanks and thank you for the share.